Facebook have more than 750 million active members. Not only are there 750 million active members but at least half of them login in to Facebook every day. This is just a list not actual recomendations. Always double check any company you read about before you decide to be apart of that particular company. Media Feedia is great for keeping up with multiple accounts at once. You can set administers and protect your page. You can schedule your post. You can add pictures and links to your scheduled post. ShrotStack is a great tool that lets you customize your Facebook Page. You can add custom forms to your page. You can add contest and sweepstakes to your page. ShrotStack lets you add videos to your page. Piclens Facebook tool turns your browser into a full-screen slideshow setting. Making photos take on a whole new life like image. Vitue is a great site used to customize the look and feel of your Facebook Fan page. FaceBar allows you to search Facebook from anywhere. No matter where you are on the web, you can search Facebook. From the Toolbar you will be notified if you have new pokes, friend request, and messages. This also makes it easier for you to share content. AllFacebook Stats helps you keep track of performance of Facebook pages. You can start a slideshow from any Facebook page you visit. The slideshow tool is within Firefox. Any of the images you like, you can save to a hard drive. Wordpress Facebook Tool is a WordPress plugin that allows you to receive comments, insert comment boxes, like buttons, send buttons, and OpenGraph tags to your WordPress blog. This Uploader allows you to upload or download files using Firefox from any website to Facebook. You can upload 1-10 files at a time. Buddy Media is great for managing Fans. Great for driving traffic to your website. It allows you to keep a close watch over your fan usage and feedback. 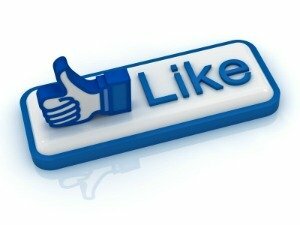 Buddy Media offers a variety of Facebook tools that helps your Facebook Fan base. Makes it very easy for you to share the content of all websites you like. You don’t have to worry about trying to post links or find the addresses; it does all of it for you. You can share with all your friends at the same time. Webtrends is a great site if you are trying to keep up with what’s hot. It will pull data from your Facebook pages and apps letting you know what’s hot. Wildfire lets you track the stats of your competitors. It also allows you to track your own stats up to 3 different pages. Very cool, it informs you of changes of new trends. Pagemodo help you create great custom Facebook Fan pages. They have Free as well as paid Facebook Fan page options. These are the people from Facebook. They are probably the best ones to get tools from. You can get Like Buttons to add to your page, Comment boxes, Login Buttons, as well as many different apps to help you along the way.